Come home to luxury living at Harmonee Square, your place to unwind and recharge, but also be part of the best in urban living. Interested in scheduling a private tour? Call Joann at (414) 651-3786 today! Located in the heart of The Village. 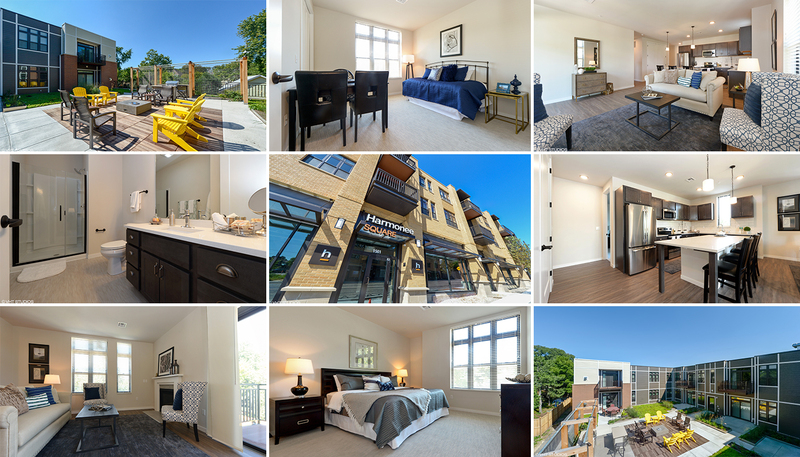 Right in your neighborhood, you will not only find a thriving European-style historic district with unique shops, restaurants, and entertainment, but also access to the Oak Leaf Trail and Menomonee River Parkway, farmer’s markets, festivals and more. Harmonee Square is designed with your comfort in mind, the one, two, and three bedroom apartments offer the largest, most spacious living spaces in the area, along with premium appliances, luxury finishes, and more. Harmonee Square also offers private underground parking, additional storage, private and public spaces, and is pet-friendly* with a designated pet exercise area.